So, what are you working on? 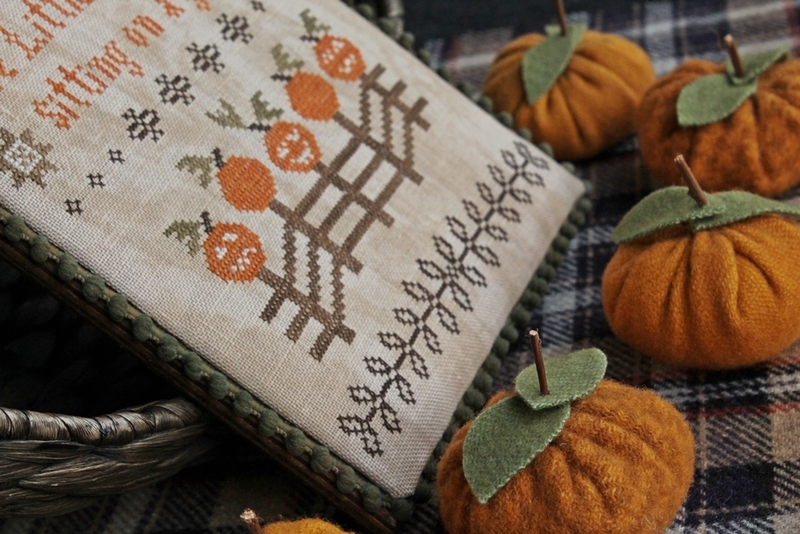 Are you working on traditional cross stitch, prim cross stitch, punch needle, embroidery, wool applique or something else? My current work in process (WIP) is a lovely design by Homespun Elegance called ‘It Takes a Village’. I’m trying to get a jumpstart on my holiday stitching. I am about 3/4 of the way done and now trying to decide how to finish it. Frame it or make it into a small pillow? Whatever you are working on, I hope you find this time a peaceful, joyful, and creatively fulfilling time. Still in the ‘Winter Mindset’? And here are the charts. Happy stitching. 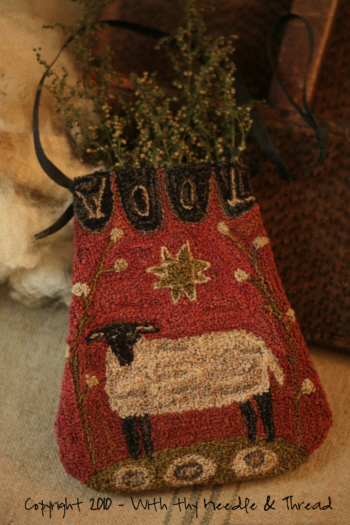 This is a lovely design created by With Thy Needle and Thread. I wanted to sure to give credit where credit is due. 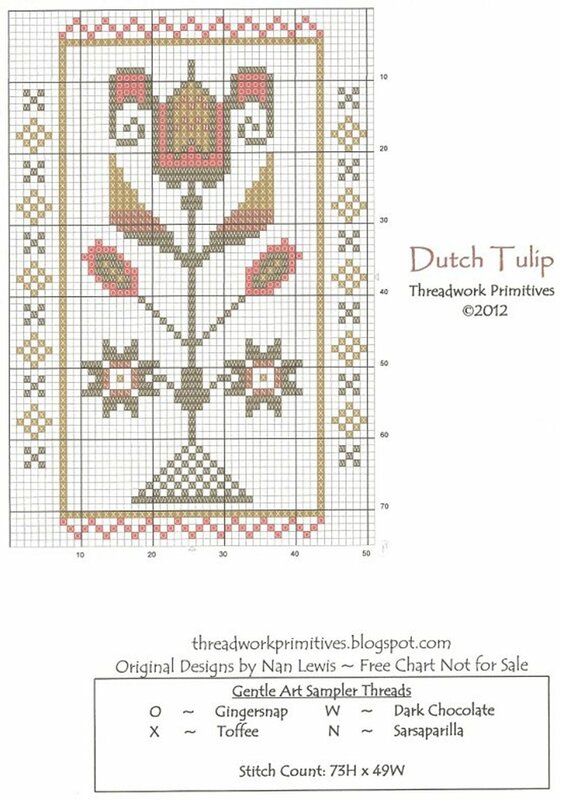 The pattern can be purchased through her website as well as other retailer needlework shops. PUNCH NEEDLE, here I come! You may remember that I posted a free pin keep chart for Valentine’s Day . I was able to get it finished in rather quick time. 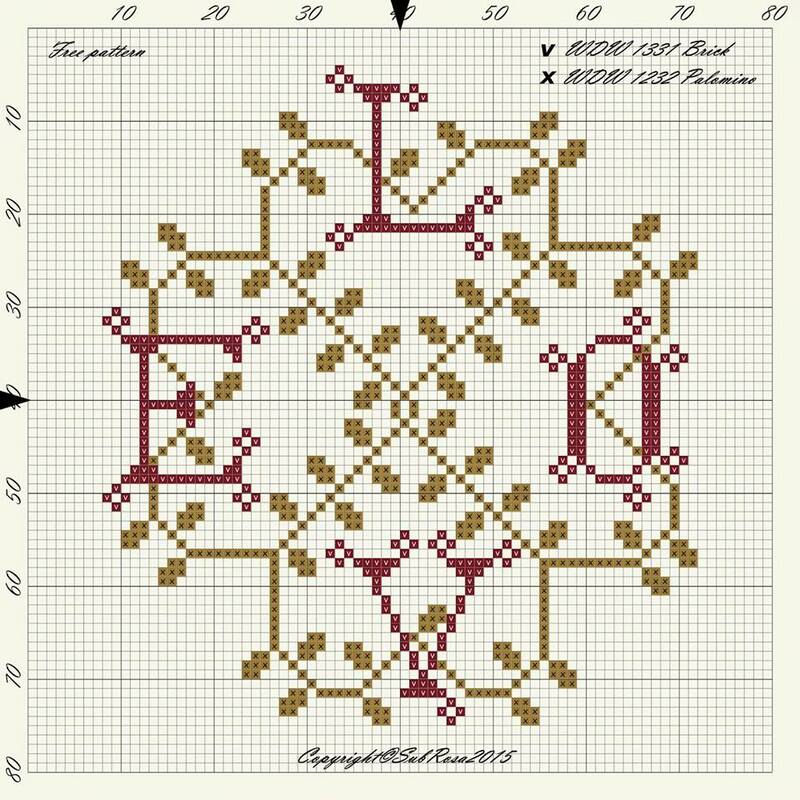 I normally work on linen, 32 count, but chose to complete this on 14 count Aida. I was very surprised to see how quickly it worked up. Here’s my finish on the pin keep. If you are a beginner stitcher, I would recommend that you get comfortable on an even weave fabric such as lugana, fiddler’s cloth, or aida before venturing out into the linen world. My pattern designing business is a little behind where I had intended to be by now, due to health issues. It is still my dream and I still am creating. I just haven’t gotten to the point that I can publish or attend marketplace venues. It will be when it is meant to be. Stay warm and keep stitching, my friends. Well, we survived the winter storm and I was able to complete my first finish of February. 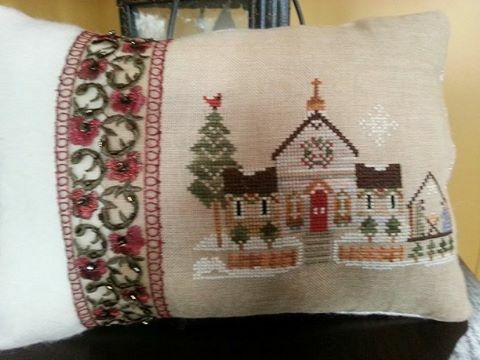 ❤ ❤ This is a Little House Needleworks design called ‘Town Church’. I think it’s adorable and was fairly quick to stitch. LHN has a series of designs that can be completed and used as ornaments or finished into pinkeeps or the like. If you haven’t checked them out yet, take a minute and look up their website. 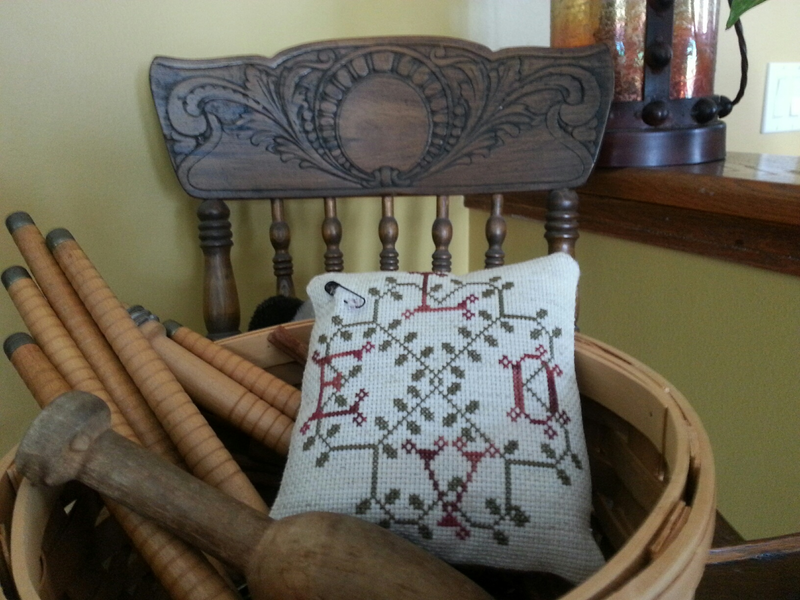 Keep stitching and work on something that makes YOU happy. Mike, Mike! What day is it????? It’s FREE PATTERN DAY! 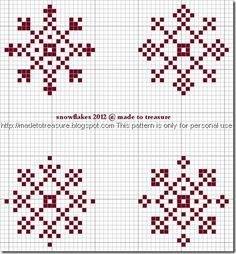 Yep, another free Valentine’s Day pattern, courtesy of Carol Zalouk. This time it’s a small pinkeep project. 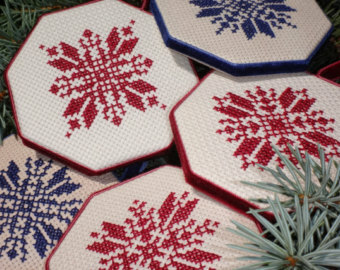 These are great to stitch and put in a small bowl or basket. The pattern calls for Week’s Dye Works hand-dyed threads, but really, any floss of any color will do. I suggest that you embellish this with small, neutral color buttons in each corner for a little extra ZING. Hope you enjoy the chart. Stay warm, my friends.